50% off at Mixbook through my blog! Save Up to 50% Off Everything for 3 Days! Kick off the holiday season with Mixbook's biggest sale ever - the Cyber Monday Sale! And, we've extended the sale to last three whole days so you can take advantage of this incredible deal. Hurry, you won't see any more deals this good for another year! Enter coupon code CYBERSALE or coupon CYBERLUV to redeem your discount until Wednesday, December 1, 2010. The Holiday Rush is here -- Check our shipping page to see our shipping guidelines and make sure your order gets delivered on time. This is my favorite publisher and an unbeatable offer!! Don't miss it and if you buy a book, I'll get a little commission to help support this blog. Free Cards and 60% off! You can't miss this! Mixbook is having a 60% off sale and offering us 5 FREE fully customizable cards! You can click the links at the top of my right column or click below. Don't loose out! This publisher is by far my favorite and it will be yours too when you try it! And if you actually buy a book after following my link to them, I will get a little commission to help with the blog, but notice I don't advertise anything else. I do this as a service to you because I truly love this company and want you to be blessed too. It's Thanksgiving and I want to show all of you how much I appreciate you, so I'm going to do something I've never done before to bless you in the name of our Lord Jesus. Everything in my store that is listed under $10 you can now have for only $1.99 and anything listed over $10 you can have for half price. The only exception is the Books of the Bible products because they are physical products I ship you. So, make the most of this! This is too good to miss! Add up your purchases and log into your PayPal account. 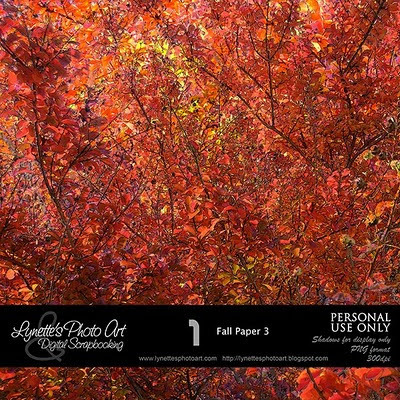 If your total purchase is under $10, enter lynette@lynettesphotoart.com as the person you are paying. If your total purchase is over $10, enter lynettesmail@bellsouth.net as the person you are paying. List the kits you are buying in the note section. As soon as PayPal notifies me of your purchase, I'll e-mail you all your download links toot-suite! The frosting on top is that today I'm giving you my new Magnificent Fall Kit. It includes the gorgeous paper I just gave you and some people had difficulty with the link...so here it is and so much more! 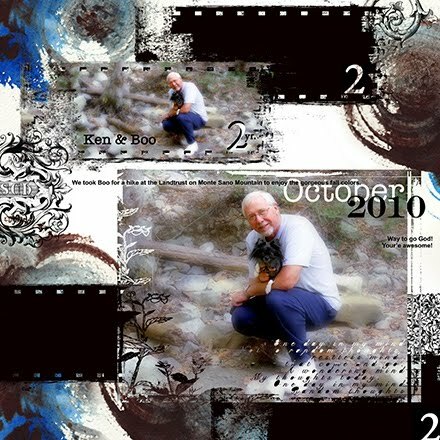 Have fun, please support this blog by shopping my PayPal store and Happy Thanksgiving to you and yours and God bless you! "I sat down at the computer to write my yearly short poem for Thanksgiving and would end it with an appropriate scripture, but this year as you can see you are getting my message on your email. Why, because the tradition of celebrating Thanksgiving should perhaps be taken more seriously as the situation in the world is so tenuous. I also wanted to stress that choosing a day to thank God for His blessings seems so inadequate and sometimes insincere. I was reading the history of Thanksgiving in the Federalist Digest and the presidential proclamations of Washington, Lincoln and others and was moved to remind and perhaps enlighten some who have forgotten where and why Thanksgiving Day was started. To those who believe in the separation of church and state this should put your minds at rest or change uninformed views to the truth of our forefather’s declarations, writings and intentions. Now, therefore, I do recommend and assign Thursday, the 26th day of November next, to be devoted by the people of these States to the service of that great and glorious Being who is the Beneficent Author of all the good that was, that is, or that will be; that we may then all unite in rendering unto Him our sincere and humble thanks for His kind care and protection of the people of this country previous to their becoming a nation; for the signal and manifold mercies and the favorable interpositions of His providence in the course and conclusion of the late war; for the great degree of tranquility, union, and plenty which we have since enjoyed; for the peaceable and rational manner in which we have been enabled to establish constitutions of government for our safety and happiness, and particularly the national one now lately instituted; for the civil and religious liberty with which we are blessed, and the means we have of acquiring and diffusing useful knowledge; and, in general, for all the great and various favors which He has been pleased to confer upon us. And also that we may then unite in most humbly offering our prayers and supplication to the great Lord and Ruler of Nations, and beseech Him to pardon our national and other transgressions; to enable us all, whether in public or private stations, to perform our several and relative duties properly and punctually; to render our national government a blessing to all the people by constantly being a government of wise, just and constitutional laws, discreetly and faithfully executed and obeyed; to protect and guide all sovereigns and nations(especially such as have shown kindness to us), and to bless them with good governments, peace, and concord; to promote the knowledge and practice of true religion and virtue, and the increase of science among them and us; and, generally, to grant unto all mankind such a degree of temporal prosperity as He alone knows to be best. Then from the hand of Abraham Lincoln during internal strife in the United States this proclamation. The year that is drawing toward its close has been filled with the blessings of fruitful years and healthful skies. To these bounties, which are so constantly enjoyed that we are prone to forget the Source from which they come, others have been added which are of so extraordinary a nature that they can not fail to penetrate and soften even the heart, which is habitually insensible to the ever-watchful providence…..
Needful diversions of wealth and of strength from the fields of peaceful industry to the national defense have not arrested the plow, the shuttle, or the shop; the ax has enlarged the borders of our settlements and the mines, as well of iron and coal as of the precious metals, have yielded even more abundantly than theretofore. Population has steadily increased notwithstanding the waste that has been made in the camp, the siege, and the battlefield, and the country, rejoicing in the consciousness of augmented strength and vigor, is permitted to expect continuance of years with large increase of freedom. No human counsel hath devised nor hath any mortal hand worked out these great things. They are the gracious gifts of the Most High God, who while dealing with us in anger for our sins hath nevertheless remembered mercy. It has seemed to me fit and proper that they should be solemnly, reverently, and gratefully acknowledged, as with one heart and one voice, by the whole American people. I do therefore invite my fellow-citizens in every part of the United States, and also those who are at sea and those who are sojourning in foreign lands, to set apart and observe the last Thursday of November next as a day of thanksgiving and praise to our beneficent Father who dwelleth in the heavens. And I recommend to them that while offering up ascriptions justly due Him for such singular deliverances and blessings they do also, with humble penitence for our national perverseness and disobedience, commend to His tender care all those who have become widows, orphans, mourners, or sufferers in the lamentable civil strife in which we are unavoidably engaged, and fervently implore the interposition of the Almighty Hand to heal the wounds of the nation and to restore it, as soon as may be consistent with the Divine purposes, to the full enjoyment of peace, harmony, tranquility, and union. I dare say, our young Nation had men who knew where our blessings came from and who bestowed them. They were not afraid of offending and openly proclaimed it for all to hear and strongly suggested to America’s citizens that they should reverently observe a special day of Thanksgiving to their Creator. As you see “God” taken, or soon taken, from our hallowed buildings, our schools, court houses, national anthems and pledges, graduation speeches, currency and perhaps someday pulpits in our churches, remember how thankful our forefathers were for the freedom to have God among us and his blessings upon us. As you sit with family and friends before a bountiful table, let these humble words from a friend come to mind. The God who once blessed our Thankful Nation, will also judge a thankless one. With deepest wishes for a blessed Day of Thanksgiving for you and all Americans. Please say a prayer for our valiant military who serve here and in distant lands, making sure we enjoy this God Given Country. Last night my husband and I were opening the church building (rented portion of an old funeral home) to get ready for the second night of our conference. Once the outside door closed behind us, it was pitch black. I'd gotten half way across the sanctuary toward the light switches that are in the hall on the far side of the room when the door shut and we were engulfed in black. (Who thought to put them there?) I thought, "I'm half way there, I think I can keep walking straight enough to find the door to the hall and then the lights just on the other side." I took small steps with my arms outstretched so as not to get hurt when I finally touched something. I was expecting my first contact to be the wall next to the door jam. When I could finally touch something, it wasn't the wall. It was waaaay off to the left before even the speakers. If I had deliberately turned 45 degrees to the left when the lights went off, aiming for the left wall of the huge room (instead of straight ahead), where I wound up would have been closer to the goal! Quite a shocker. God showed me something. I was well established "on the right path" and was "half way there", "focusing on the right goal", "every intent of my heart was to reach that goal with no other thought" when I was engulfed with darkness. Without light, I utterly lost my way and utterly missed the goal. As Christians, even if we are well grounded in the Word of God and are well along the straight and narrow path home to our Father in Heaven, focusing on Jesus and the goal of eternity in heaven with no other intent in our hearts or thoughts, if we neglect regular Bible study time, personal time alone with God and corporate worship, we are absently mindedly turning off our light, our beacon home and before we know it, we are walking in darkness, pretty sure that we can get to the goal by memory of the last time we saw the goal, by past relationship, past experience. If we don't turn that light back on in time, in shock we will find too late that we have missed the goal entirely and all those years of faithful walking will be useless, because we let our lamps go out in the most crucial final stretch. Reminder - It's Thanksgiving and I want to show all of you how much I appreciate you, so I'm going to do something I've never done before to bless you in the name of our Lord Jesus. Everything in my store that is listed under $10 you can now have for only $1.99 and anything listed over $10 you can have for half price. The only exception is the Books of the Bible products because they are physical products I ship you. Add up your purchases and log into your PayPal account. Enter lynettesmail@bellsouth.net as the person you are paying. List the kits you are buying in the note section. As soon as PayPal notifies me of your purchase, I'll e-mail you all your download links toot-suite! I wanted to share my newest layout with you. I really love how it turned out! Boo was about to turn two and we took her hiking on the mountain to enjoy the fall colors God has blessed us with. Way to go God! My deep thanks and kudos to these amazing designers: I used Arabesque brushes from http://elementsunleashed.deviantart.com; a free image file named 2716312437_0ef6cb7285_o.jpg (there is no info attached); masks by Niki named 2 Grungy Masks_ Spotlight_01 & 2.png. If these are yours or you know more info to fully credit these last two generous designers, please let me know and I'll change this right away. I used the logo I designed for our church and made all purpose cards on Shutterfly. They are really top quality and very impressive! I've ordered them before, but now they are 30% off so be sure to check them out! We've used them to say special thanks to people, to share sympathy, whatever the event they are perfect! 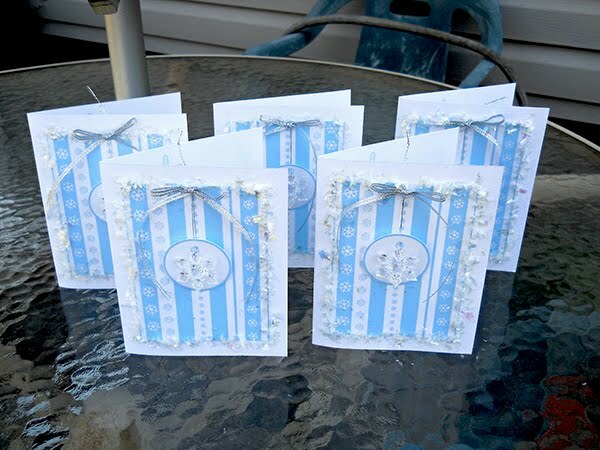 Unique party invitations and greeting cards by Shutterfly. I am proud to share this with all of you. It's November 11, 1967. LZ (landing zone) X-ray. You're a 19 year old kid. You're critically wounded and dying in the jungle somewhere in the Central Highlands of Viet Nam. Your unit is outnumbered 8-1 and the enemy fire is so intense, from 100 yards away, that your CO (commanding officer) has ordered the MedEvac helicopters to stop coming in. You're lying there, listening to the enemy machine guns and you know you're not getting out. Your family is half way around the world, 12,000 miles away, and you'll never see them again. Then - over the machine gun noise - you faintly hear that sound of a helicopter. You look up to see a Huey coming in. But ... It doesn't seem real because no MedEvac markings are on it. Captain Ed Freeman is coming in for you. He's not MedEvac so it's not his job, but he heard the radio call and decided he's flying his Huey down into the machine gun fire anyway. Even after the MedEvacs were ordered not to come. He's coming anyway. And he drops it in and sits there in the machine gun fire, as they load 3 of you at a time on board. Then he flies you up and out through the gunfire to the doctors and nurses and safety. Until all the wounded were out. No one knew until the mission was over that the Captain had been hit 4 times in the legs and left arm. He took 29 of you and your buddies out that day. Some would not have made it without the Captain and his Huey. Medal of Honor Recipient, Captain Ed Freeman, United States Air Force, died last Wednesday at the age of 70, in Boise, Idaho ... May God Bless and Rest His Soul. I bet you didn't hear about this hero's passing, but we've sure seen a whole bunch about Michael Jackson, Tiger Woods and the bickering of congress over Health Reform. Shame on the American media !!! Now ... YOU pass this along. Honor this real American. Please. My dear friend and sister-in-Christ, Keryn from Australia, just sent me a link to this video. It's great! Just before satan's holiday, Macy's in Philadelphia had something fantastic and surprising. Sadly they consider it a "Random act of Culture", but in the spirit realm it was a powerful act of worshiping the only truly and living God Almighty whether they meant it that way or not! I love the finale best. This will really slow my blog's load time so I won't leave this up long out of consideration of all you wonderful people who come here. I appreciate you more than you could know! Hugs! 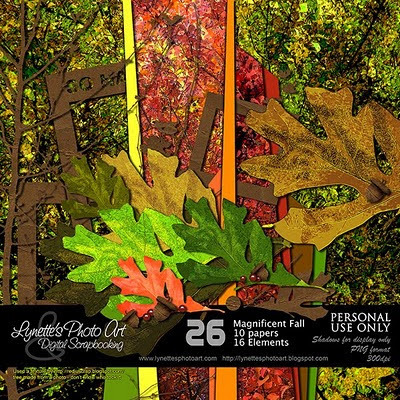 Free Cards From Mixbook and Free Fall Paper from me! I've got something wonderful for you today - don't miss it! If you've ever noticed, at the top of the right column I offer you special deals at my favorite book publishing place - Mixbook. Now for the first time ever they are offering FREE CARDS so you can try their wonderful services. This is good through the end of November so don't miss it!!! If you'd like to read why I love this company so much after trying many publishers, you can read that post here. If you purchase a book through them, I will get a commission to help support this blog. They are fantastic! Today I'm giving you a Fall Paper I've made. The detail and color are GORGEOUS! Snag it quick while you can! If you like it well enough to download, please leave me a comment at the bottom of this post as I have disabled 4shared comments. Please support this blog by shopping my PayPal store. God bless you! Update: Two of you have said the link isn't working. I have checked it out and it downloads and opens perfectly for me so I don't know what's wrong? If anyone knows what I need to do to fix it, please let me know. It's such a gorgeous paper, I really want you to enjoy it. Sorry, but it works for me. Earlier I shared the card I designed to make with my children in Bible Class to give to their parents (with lessons on thankfulness and honoring our parents), now here's the card I designed to give to each of them from me. 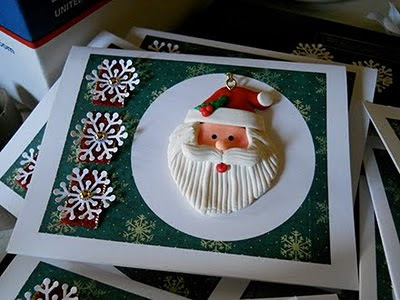 Wanting the ornaments to be easily removable so they could be used, I threaded the hanger into the eye of a large upholstery needle and pulled it through to the inside of the card and then pressed the hole closed with my fingers. 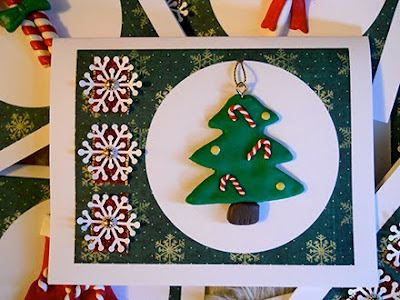 I tore a small piece of PlastiTac off (stuff you use to hang light things on walls without damage) and put it on the back of the ornament and pressed to the card to stay centered in the circle. Now it needed something on the left side to finish it. I ended up buying my first scrapbooking "tool". I got a Martha Stewart snowflake punch at Michael's with a 40% off coupon. Gotta say it's so fun punching them out of the little scraps I save (to recycle). They pop out and float to the table like real snowflakes and they come out curved! I like that as they look more dimensional on the cards. Side note - I tried punching some from the political ads that I'm recycling, but the punch didn't want to open once it punched, so I eventually gave up. Then I added little gold balls to the centers of the snowflakes to tie in with the gold hangers and threads on the ornaments. It looked pretty good, but I still needed some red to balance the reds in the ornaments. I got a roll of luscious red sparkly ribbon trimmed in gold (to again tie in with the other gold on the card) for only $.99 on sale at Michael's. 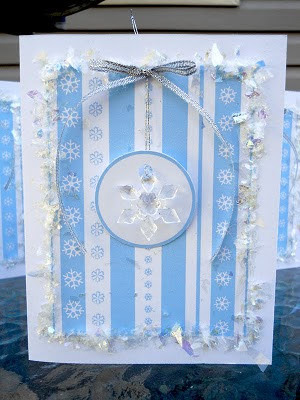 I tried several different ideas and settled on gluing each snowflake to a piece of the ribbon and then gluing them to the cards. I'm really happy with how they turned out. 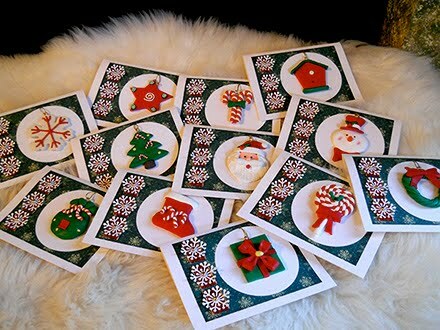 They are fun and simple and are a gift as well as a card (the ornaments)! So how'd we do price wise? 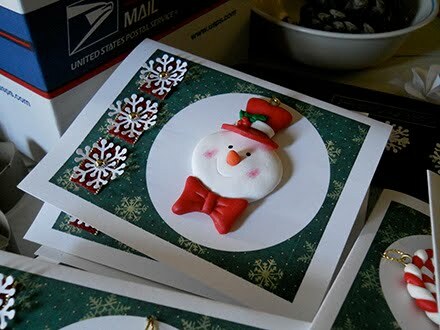 Even with the cost of the snowflake punch, which I did buy only because of this but will surely be used in many other things for the class in the future, not counting the card stock, envelopes and printer ink (too hard to figure), they come to only $1.62 a piece including tax!!!!! Wow! And so much more fun than a store bought card - with leftovers for other projects! My gift to you today is the Dough Snowflake Ornament. Enjoy! This started as a project for my Bible class, but I loved the results so much that I've made some to use as my own Christmas cards this year! They will need to be hand canceled, but they aren't very thick at all. We will make them in class closer to the holiday. So, as part of teaching on thankfulness and honoring our parents, I designed this card for each child to make two, one for their mother and one for their father - saying thank you. Having no special scrapping equipment and needing to keep the cost down while making it simple to assemble, I chose to make each card half the length of a standard 8.5x11" piece of card stock (2 per sheet then folded in half). I already had the envelopes that fit this size card. 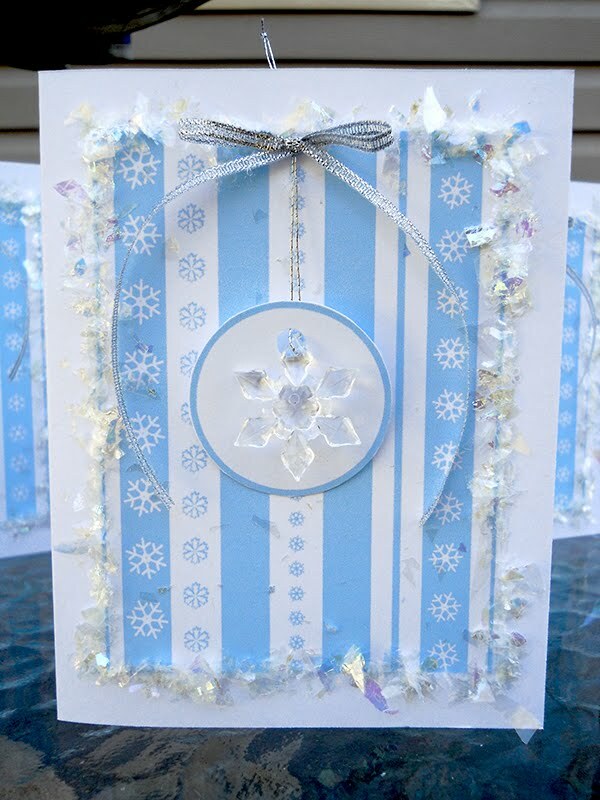 The inspiration for the card was miniature crystal snowflake ornaments by A Tree For Me at Hobby Lobby. There are 9 per card for $1.99 and I got them at 40% off. I designed the back and inside of the card in PhotoShop and printed them on both sides, then cut the two cards apart (in half vertically) and then folded them. I designed the striped snowflake paper in PhotoShop. It's not the blue in these pictures, but a bit dusty and soft with a rusty red on the bright white paper. I know my printer won't print a margin all the way around my sheet so I designed an inset of the striped paper for each card. Sadly, when I printed, one card was fine, but the one at the bottom of the paper had a wider margin and ruined the stripes. 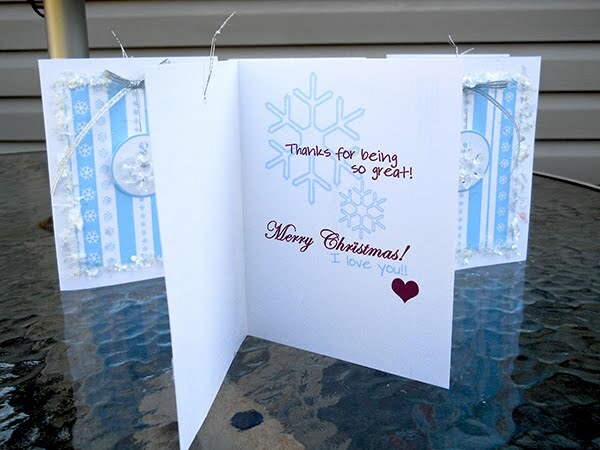 I decided to print a solid sheet of card stock with the striped snowflake pattern on it and then cut it into smaller rectangles and have the children glue stick them to the centers of the fronts of the cards. 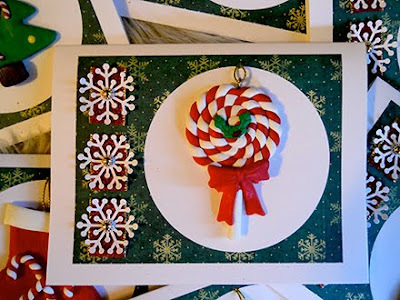 Next they will run a bead of Tacky Glue around the outer edges of the striped piece. It doesn't have to be perfect. I dumped Twinkle Snow ($2.99 at Hobby Lobby and I got it at 40% off) in a rectangular dish (to contain the mess - it has a lid :). 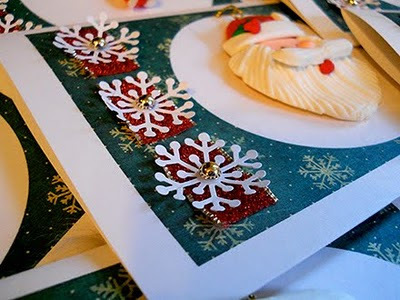 They will turn the card glue side down in the Twinkle Snow and press gently, then tap it off on the edge of the dish to knock off loose flakes. I designed a white disk in PhotoShop to center the snowflake ornaments on so they'd show up better, then stroked the edge with blue. I printed a full sheet of them and cut them out, then used a hole punch near the top. I threaded the silver ornament hanger through the punched hole in the disk. 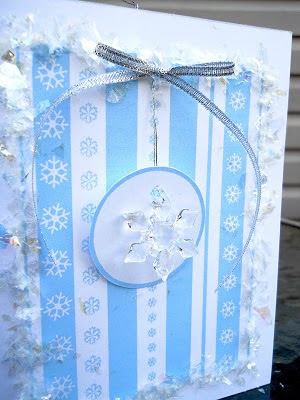 Using a large eyed upholstery needle, I threaded the end of the ornament hanger through the needle and then poked it through to the inside of the card just below the Twinkle Snow at the top. I pulled it through to the inside until the disk and snowflake were centered in the card front. I took a very narrow sparkly silver ribbon ($.64 at Hobby Lobby on sale) to match the ornament hanger and tied bows. A small amount of low melt glued attached the bow on top of the hole, securing the hanger too. The hanger sticks up in the pictures, but after I bent them down and closed the cards in a stack, the hangers lay inside the cards unnoticed. You could always secure it with a tiny piece of tape. When the recipient wants to remove the ornament to use it, there is only a tiny amount of glue on the front that will easily be removed.